There has been a lot of talk of how the season four finale of Gotham was going to set up their take on the Batman comic story No Man’s Land which featured the basic destruction of Gotham City. 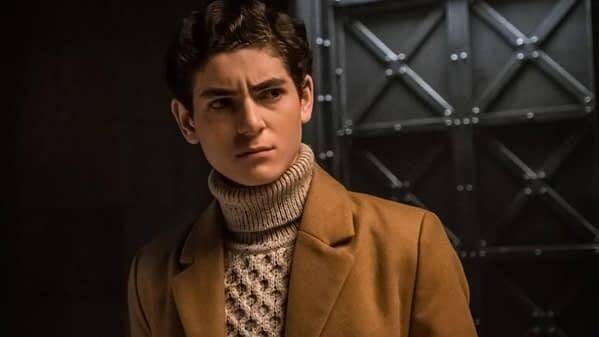 But in a recent interview with DC All-Access, start David Mazouz talked about that and also how the series is going to have an episode influenced by the Killing Joke, the celebrated Batman graphic novel by Alan Moore and Brian Bolland. In talking about tonight’s epsidoe, This Old Corpse, Mazouz says that its the start of the craziest arc yet on Gotham and that the episode is about Jerome’s legacy. The following episode is called, One Bad Day, which is a reference to the Killing Joke. Mazouz says the episode will mirror the graphic novel in that it follows the Joker’s process of trying to drive Jim Gordon (Ben McKenzie) insane. And that will be taking another character to his limits physically and psychologically. We won’t know if those character are going to be okay or not according to the young actor. In talking about the No Man’s Land finally, Mazouz calls it insane. The series is going to split up all of the characters and created brand new dynamics that haven’t been thought of on the show before. The isolation of Gotham is going to bring out the worst in some people and the best in others. It will lead to the eventual rise of Batman and the relationship between Bruce and Gordon will become very important. There are only a handful of good people in Gotham and they’re going to be lead by Bruce and Gordon. As of this posting, a decision on Gotham season five has not been announced. You can see the interview for yourself below. Gotham airs tonight at 8 PM on Fox.